The court mentioned reports that highlighted the fact that many child deaths went unreported and that only 18,000 deaths as against the actual number lying between 58,000 and 75,000 were reported. A division bench of Justice VM Kanade and Justice Swapna Joshi said this while hearing petitions of Bigar Adivasi Hakka Bachav Samiti, Shapur, Through Secretary, Mr. Subhash Harad vs. State of Maharashtra, Through Secretary, Tribal Development Dept. and Ors. A compilation of documents disclosing statistical data regarding various schemes floated by the government and financial expenditure incurred for the schemes/projects were presented by the counsel of the State. The data showed that child deaths due to malnutrition had gone down in the last five years considerably, there was a reduction in pulse polio with some areas seeing a total eradication in some tribal areas due to the routine immunisation programmes initiated, malnourished children under these schemes are also admitted in hospital for 14 days where they are given proper care and treatment. The setting up of new Nutritional Rehabilitation Centres (NRCs), implementation of drives for De-worming and introduction of ‘Vitamin A’ were also mentioned by the State. However, the court observed that on close scrutiny, it showed that money earmarked for the mentioned schemes/projects were not fully utilised and the money was siphoned off. The court mentioned reports that highlighted the fact that many child deaths went unreported and that only 18,000 deaths as against the actual number lying between 58,000 and 75,000 were reported. The court proposed a systematic approach to tackle such issues by making an action plan earmarking funds, considering the current position and the steps to be taken to eradicate the problems and also the time likely to be taken to address the problems and the financial investment to be made by the state government. The court said not only does it want to know the funds allocated for the said purpose, but also the grant given to the State as for the total yearly budget allocation for these schemes/programmes and the total budget allocated by the Central Government to the State. Similarly, attention was brought to the ‘Take Home Ration” (THR) food packets meant for distributing to Tribal children and take care of their dietary needs, weighing 1,170 gm and containing micro nutrients of wheat, gram, sugar and chickpeas. However, after lab tests, it was found that the nutritional value of the packets was far less than what was shown. The court directed the State Government to appoint an expert in the field like Ratan Tata Institute of Management and others, who shall give an expert’s opinion on what kind of food is wanted and should be distributed. 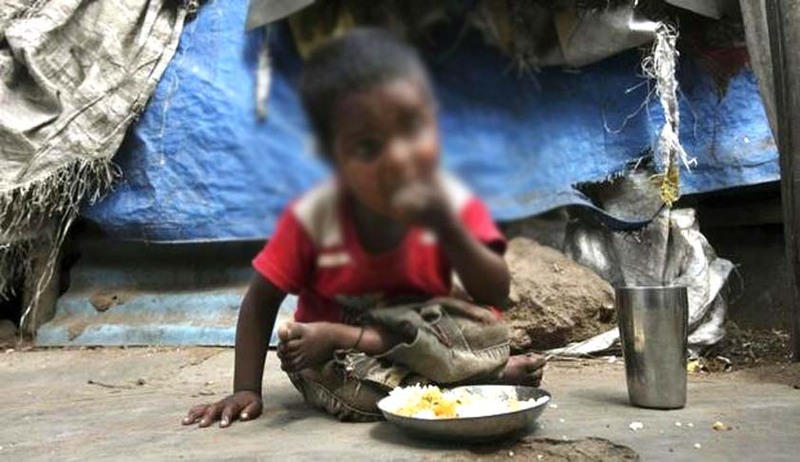 On the basis of several reports in the press regarding child deaths due to malnutrition, the court was unsatisfied that no progress in this aspect was made. The matter has been listed for further hearing on 26th October 2016.